No Grain refers to a solid color or seamless pattern that matches in all directions. No matter the orientation of the pattern, the results remain the same. Material with no grain can include different textures as long as the texture itself remains homogeneous. With Grain refers to a pattern or finish with linear features that travel in one direction. Think: any pattern with lines. 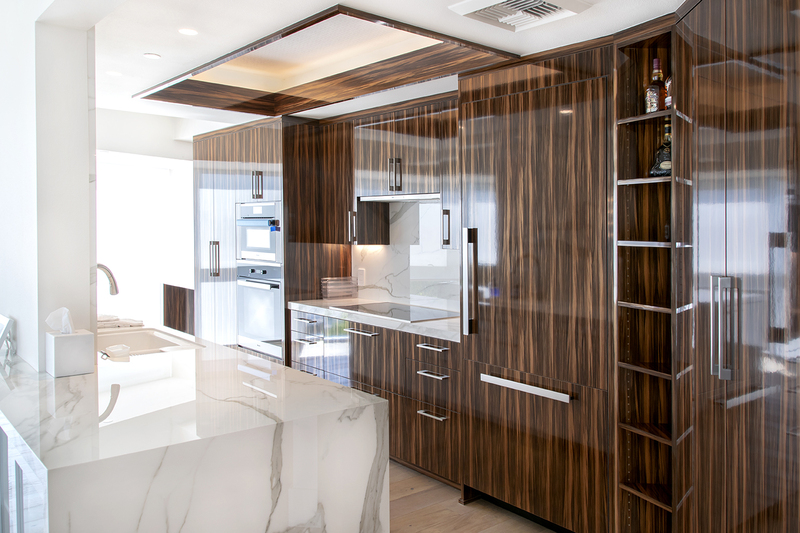 With grain most often refers to wood finishes, but some patterns also fall into this category. If a solid color comes with a lined texture, like Formica’s sculpted finish, then the material would no longer be considered as no grain. There are two grain directions to choose from: Vertical Grain and Horizontal Grain. Vertical Grain is the most common and features grain lines running up and down. Lines running from left to right are considered as Horizontal Grain. Grain direction comes into play when cutting cabinets and choosing how each piece will fit on a 4’x8’ sheet of material. For sheets with no grain, pieces can be placed in any direction, which usually allows more parts per sheet and minimizes wastage. On the other hand, parts with grain all need to be facing the same direction in order to maintain a cohesive look. 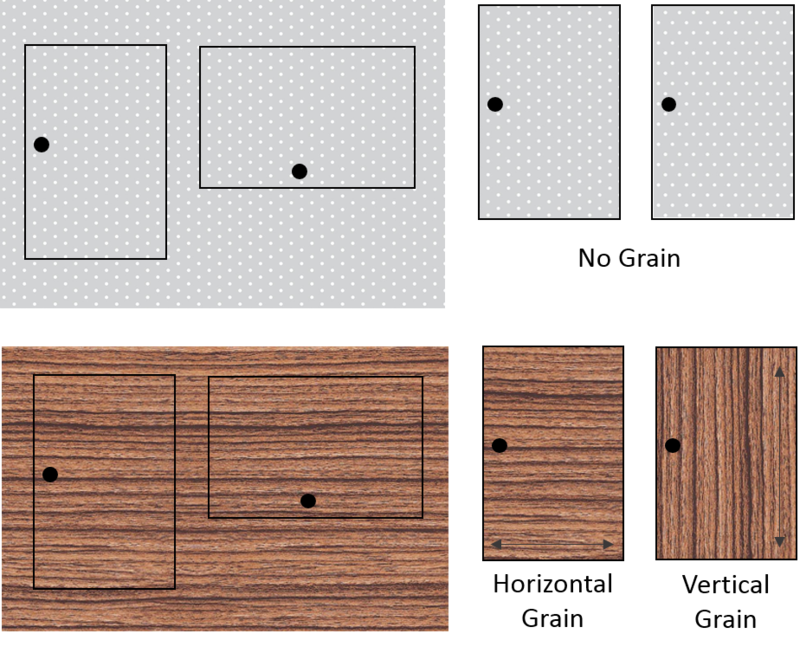 The picture below shows the difference between No Grain, Vertical Grain, and Horizontal Grain and how they would be arranged on a sheet of material. Now that you have more knowledge grain direction, head over to our gallery and see if you become more aware of the different finishes used.